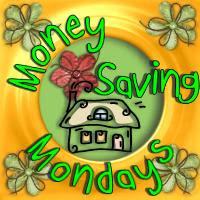 Today, I thought I'd do a bit of linky-love to my favorite blogs / sites that help me save money throughout the year. These blogs / sites devote themselves to sharing great deals and scoping out new offers all day, every day! I'm indebted to them for helping me save time and money. I know there are many, many other money-saving blogs out there, but these are the ones I have in my reader and that I have found to be consistent and helpful. If you have a favorite, feel free to add it in the comments! Thanks for following me around the web for Suddenly Frugal. I'm about to move (again!) to a unique domain at http://www.suddenlyfrugal.com, which works now before the move, if you're interested. Thanks also for including me in your roundup!